The Muqaddimah, often translated as “Introduction” or “Prolegomenon,” is the most important Islamic history of the premodern world. 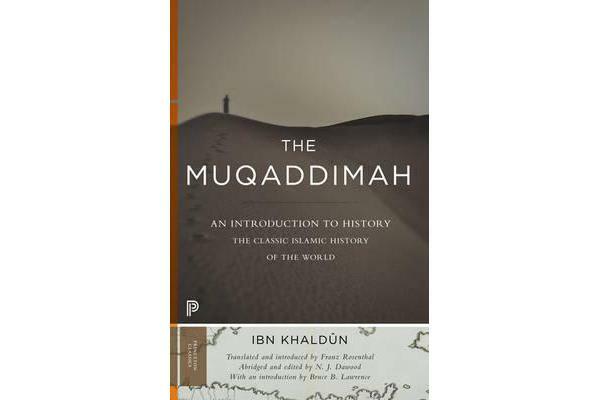 Written by the great fourteenth-century Arab scholar Ibn Khaldun (d. 1406), this monumental work established the foundations of several fields of knowledge, including the philosophy of history, sociology, ethnography, and economics. The first complete English translation, by the eminent Islamicist and interpreter of Arabic literature Franz Rosenthal, was published in three volumes in 1958 as part of the Bollingen Series and received immediate acclaim in the United States and abroad. A one-volume abridged version of Rosenthal’s masterful translation first appeared in 1969. This Princeton Classics edition of the abridged version includes Rosenthal’s original introduction as well as a contemporary introduction by Bruce B. Lawrence. This volume makes available a seminal work of Islam and medieval and ancient history to twenty-first century audiences.